The few Jews increased after around 1850 and further with the establishment of Greater Romania after World War 1. Mainly urban they became a target of religious persecution and racism from the late-19th century with the debate over the "Jewish Question’, Jewish residents' right to citizenship and finally to the genocide during the Holocaust. It is estimated that there were about 800,000 Jews in the enlarged country before WWII during which 280,000 to 380,000 Jews were killed. This and the successive waves of aliyah, has accounted for the major decrease in the Jewish community. The 2011 census showed only 3,271 Jews. The history of the Jews in Romania concerns the Jews both of Romania and of Romanian origins, from their first mention on what is present-day Romanian territory. Minimal until the 18th century, the size of the Jewish population increased after around 1850, and more especially after the establishment of Greater Romania in the aftermath of World War I. A diverse community, albeit an overwhelmingly urban one, Jews were a target of religious persecution and racism in Romanian society – from the late-19th century debate over the "Jewish Question" and the Jewish residents' right to citizenship, to the genocide carried out in the lands of Romania as part of the Holocaust, during which 280,000 to 380,000 Jews were killed. The latter, coupled with successive waves of aliyah, has accounted for a dramatic decrease in the overall size of Romania's present-day Jewish community. In the 2011 census, 3,271 declared to be Jewish. Antisemitism was officially enforced under the premierships of Ion Brătianu. During his first years in office, Brătianu reinforced and applied old discrimination laws, insisting that Jews were not allowed to settle in the countryside (and relocating those that had done so), while declaring many Jewish urban inhabitants to be vagrants and expelling them from the country. The emigration of Romanian Jews on a larger scale commenced soon after 1878. By 1900 there were 250,000 Romanian Jews: 3.3% of the population, 14.6% of the city dwellers, 32% of the Moldavian urban population and 42% of Iași. Between the establishment of the National Legionary State and 1942, 80 anti-Jewish regulations were passed. Starting at the end of October, 1940, the Iron Guard began a massive antisemitic campaign, torturing and beating Jews and looting their shops (see Dorohoi Pogrom), culminating in the failed coup and a pogrom in Bucharest, in which 120 Jews were killed. Antonescu eventually stopped the violence and chaos created by the Iron Guard by brutally suppressing the rebellion, but continued the policy of oppression and massacre of Jews, and, to a lesser extent, of Roma. After Romania entered the war at the start of Operation Barbarossa atrocities against the Jews became common, starting with the Iași pogrom. According to the Wiesel Commission report released by the Romanian government in 2004, Romania murdered in various forms, between 280,000 to 380,000 Jews in Romania and in the war zone of Bessarabia, Bukovina and in the Transnistria Governorate. From an early date, one of the main components of anti-Jewish sentiment in Romania was commercial competition, and the Jews were intermittently expelled and discriminated against by local princes, rulers and by Catholic and Greek Orthodox bishops. Their situation only improved with the Moslem –Turkish conquest during the 15th century. Romanian struggle for independence succeeded in 1837, but Jews continued to serve as scapegoats in the conflict between the ruling classes and the peasantry. Anti-Semitism prevailed in mainstream liberal and conservative parties alike, as far as into the 1920´s. Only after World War I was legislation enacted to emancipate Romanian Jewry. Jews played an important role in the transformation of Romania from a feudal system into a modern economy and were also active in the country’s cultural life. Romania was the birthplace of the Yiddish theater. It also produced many of the first chalutzim (pioneers) who settled in the then-future State of Israel. From 1948 - 1988 about 300,000 Jews left the country. Almost all of them moved to Israel, where they comprise one of the largest ethnic communities. With the advent of Communist rule all Zionist activity was prohibited, but organized Jewish life persisted. Even during this period of completed dependence on Moscow, when all institutions and expressions of Jewish aspiration were repressed, Romanian Jewry was not as alienated from its national and religious identity as were the Jews of the Soviet Union. The officially recognized representative Jewish organization was the Federation of Jewish Communities headed by the late Chief Rabbi Dr. Moses Rosen. 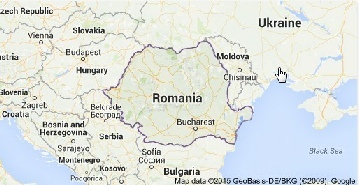 Under Rabbi Rosen’s leadership, Romania was a 'positive exception' in Eastern Europe. Religious and cultural life was active, and the great majority of Jewish youth received a Jewish education. After the 1989 revolution, Jewish communal property nationalized by the Communist regime was returned to the Federation of Jewish Communities. Jewish life has expanded substantially. In the decade 1983–1992, the central development in Romanian life, and especially in the life of the ever-dwindling Jewish community, was the overthrow of the Communist regime and the attempts to introduce Western-style democracy to the country. The change of rule did not bring in its wake any real changes in the life of the few Jews left in the country. Synagogues and a religious infrastructure are maintained in many localities, although the number of operating synagogues in the provinces is declining. There are kosher cafeterias in some 10 cities. Virtually all Jewish children receive at least the rudiments of a Jewish education in the community’s Talmud Torah, Sunday or evening schools. There are four weekly operating Synagogues in Bucharest. With the advent of democracy, a Jewish publishing house, Hasefer, was founded and the Center of Jewish History in Romania, founded in 1976 but lacking legal status, has since obtained legal standing. A department of Jewish studies was founded at Bucharest University as well.